Save the Lower East Side! : What's a tenement? looked to him like a picture of a luxurious residence, not his notion of a tenement. Appearances can deceive, and, we'll see, in more ways than one. So what does the word tenement mean? What does the word denote -- what is a tenement? Back in the day before the apartment building, New Yorkers lived in houses. Except for the new immigrants. They lived in abandoned breweries, abandoned churches, make-shift shacks and hovels. Wherever they lived in crowded quarters, the structure was referred to as a tenement, to distinguish it from a house or single-family home. The essential notion was a multiple dwelling. When the apartment building was created for the immigrants, they were then called tenement houses. These houses, bereft of any plumbing and soon without light or access to fresh air, eventually became the target of legal reform. The law then had to define its term: "the residence of three families or more living independently of each other and doing their cooking upon the premises..." (Tenement House Act 1867). Popular culture mid century identified the tenement as the drab apartments of the poor, uniformly five stories tall, after 1867 with a fire-escape. When multiple dwellings caught on with the middle classes, the meaning of tenement could no longer be applied to them, since the connotation of poverty had been attached to the word as part of its denotation. So they built apartment buildings instead. Same structure, different dwellers, different class. Tenement housing reforms led to a truly progressive law just at the end of the Gilded Age in 1901, a moment in city history known as the City Beautiful Movement. The tenements built under this law were required to be larger than the old tenements, and were built in the contemporary international style (aka Parisian Academie des Beaux Arts style). They look like palatial mansions, but they were built for immigrant labor in the immigrant ghetto to collect immigrant labor rents and following the law defining them as tenements. At this point in the history of the word, the meaning in English and the meaning in legalese depart ways. 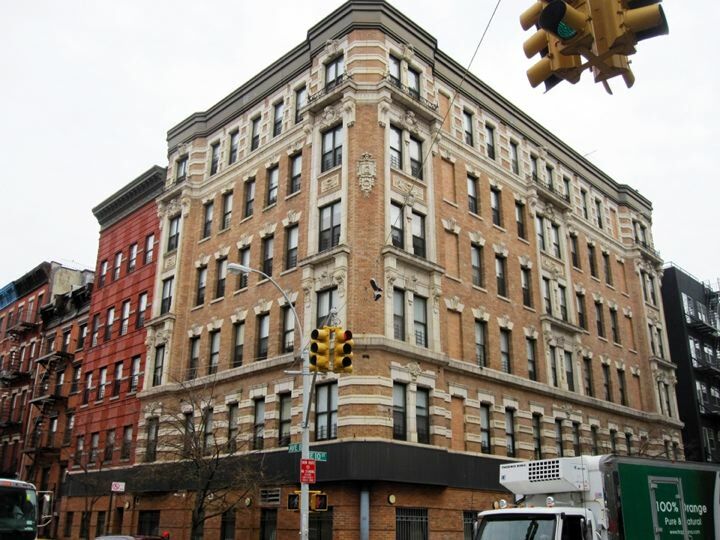 The audience member objected to me calling this building a tenement because tenement today denotes drab five or six story walk-up on a single lot with a fire escape originally built for the working class. The deception is multiple: the structure may look palatial but it was built for the working class, and even though it seems more spacious than an old tenement, it was defined by law as a tenement and not built as a middle-class apartment building. Once again: the exterior belongs to fashion; class is not a distinction in architectural style. The interior was determined by housing reform as a result of elite Republican efforts to recapture the voting base -- catering to the working class. Progress in the Progressive Age arose from working class solidarity, something we've lost in the city today.